Student loans in this country top over $1 trillion. It is not uncommon to see people graduate from college with $100,000 in student loans hanging around their neck, which won’t get paid for 10, 20, or even 30 years. I think with any type of job training there has to be a cost benefit analysis done. If the degree can’t pay for itself in 5 years then it probably isn’t worth getting. Many great jobs can be had with a 30 credit hour certificate of a 60 credit hour associates degree. 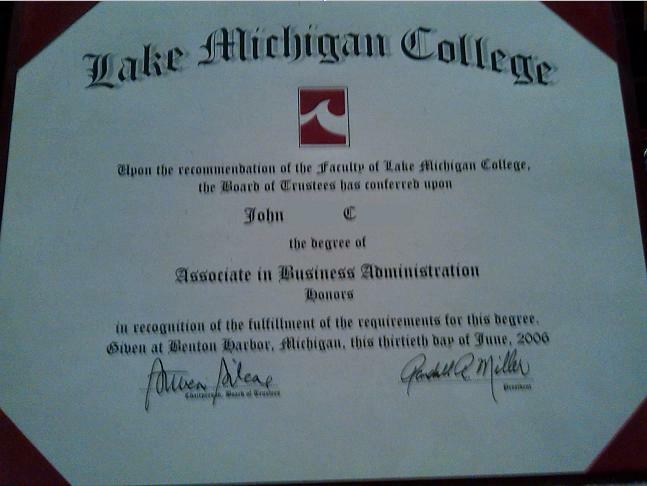 Currently at my local community college, Lake Michigan College, 15 credit hours costs $2,000, so a full 60 credit hour associates degree costs $8,000. One of my previous posts, Planning and Paying For College, addresses some of these options, but didn’t go into as much detail on how to earn a free associates degree. 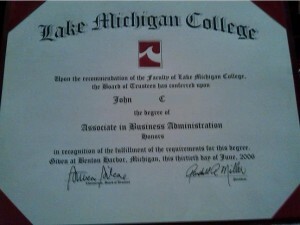 An associates degree can be earned in 2 years while working full time without spending a ton of money. The key to this is through CLEP examinations. Most community colleges will allow between 15 credits and 30 credits to be issued through CLEP exams. Some CLEP exams replace a 3 credit course, while some can replace 6 credits or even 12 credits. Taking CLEP exams to fill in electives and some basic classes can greatly reduce the costs even at community college. In Year 1 The student takes 15 credit hours and has $2,000 in tuition expenses, as we covered earlier, he ends up with a $1,944 tax credit. Since he is only taking a couple classes at a time, he has time to study for and take CLEP exams. By taking 4 exams, worth 15 credits total (he can take exams in the summer too for extra time) He will spend $400 on CLEP exams. In Year two if the school allows for 30 credit hours from CLEP the student would be able to take another 4 or 5 exams for $500. The 15 credits of actual classes he would take would allow for the $2,000 tax credit, making the total paid for the degree around $900. 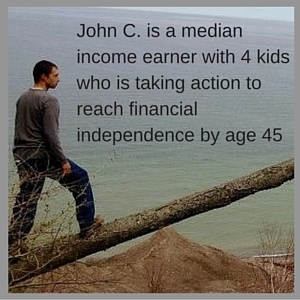 In two years he earned $40,000, earned an associates degree, has no debt, and could max a Roth IRA for 2 years. Sounds like a winner to me! Let’s say the student in question chooses to go to school full time, but does not want to take any CLEP exams (which I would view as a mistake). The total cost after the tax credit would be roughly $2,000 per year for two years. Students at my local community college have access to over $300,000 awarded through the college every year. Investing some time into applying for scholarships, especially lower dollar amount scholarships that require essays, can result in some easy money. Even if you don’t get any scholarships, while working $2,000 a year isn’t that hard to come up with, especially if still living at home. It certainly is possible to overpay for education, and its done every single day. Before choosing a college path it is necessary to do the homework to find every possible way to lessen the cost. Following these basic guidelines will help ensure you or your children don’t become one of those sob stories on television about how you have six figures in student loan debt that you will never be able to pay back. 1. Make a plan for paying for further education, including a cost benefit analysis and a plan to pay back student loans, if any are the incurred, within the first few years of graduation. 2. Stay at home for the first two years going to community college: Tuition at community college is often less than half the cost at an in state university. Room and Board also makes up around 40% of the total college cost, so saving $8,000 to $10,000 per year is well worth it. Besides, if you are working and going to school you won’t be home all that often anyway, mostly just to sleep. 3. Work: Working while going to school does several things. It helps with being able to pay cash for expenses, it adds to social security credits, it allows you to contribute to a Roth IRA, it may help with qualifying for tax credits, and it provides a solid work history and experience. Work before school starts in high school as well, even saving up a few thousand dollars can go a very long way. 4. Learn about and plan for tax credits. 5. Research CLEP exams and find out which ones your college will accept and for how many credits. Buy the study guides and take one at a time. For the most part a couple weeks of dedicated study should prepare you for the vast majority of CLEP exams. 6. Apply for financial aid. You very well may qualify for financial aid, which in many circumstances can fully cover tuition and fees (and sometimes more) at a community college. This “saves” the American Opportunity scholarship for later years, since it can be used for only 4 years total. 7. Apply for scholarships with a purpose: Go through the list of scholarships available at your school and select several to apply for every week. On average an application and essay might take 5 hours to complete. If it nets a $500 scholarship you just made $100 an hour! 8. Try. Put forth your best effort in college, because the education is only worth what you put into it. For the most part no one cares what your grades were in college, they care what you learned and what skills you have. Going through college on autopilot just to get a piece of paper doesn’t do you any good. What have you done to save money on college costs?